Born in Scotland, this naturalist and doctor spent much of his life in Charleston, South Carolina. The genus, Gardenia, and the species, Fothergilla gardenia, are named in his honor. He was a translator of the botanical writings of the Greek, Theophrastus. The genus, Gazania, is named for him. Gilpin was a landscape designer known for employing the romantic picturesque style in his gardens. He is associated with the gardens at Balcaskie, Fife and Scotney Castle in Kent, England. He was the author of Practical Hints for Landscape Gardening in 1832. German physician and botanist noted for studies on plant sexuality and reproduction. He was director of the Botanic Garden in Berlin, Germany. The genus, Gleditsia (Honeylocust) was named for him. Known for his vast collection of roses at l"Haÿ-les-Roses in Paris and the help he gave in the planting of the rosaries in the garden at Bagatelle in the Bois de Boulogne in Paris. Gray was considered on of America's leading botanists during the 19th century. He was a distinguished professor of botany at Harvard in the mid-1800's and an early supporter of Charles Darwin's theories. Gray was the author of several text books and helped establish the Missouri Botanical Garden. He also founded the Gray Herbarium at Harvard. W.J. Beal was one of his students. 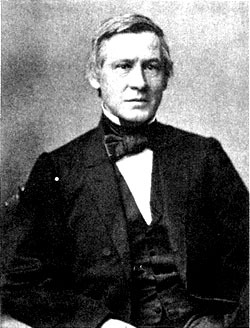 Born in Norway, Gunnerus was a Catholic bishop and botanist who taught at the University of Copenhagen. The genus, Gunnera, was named for him.